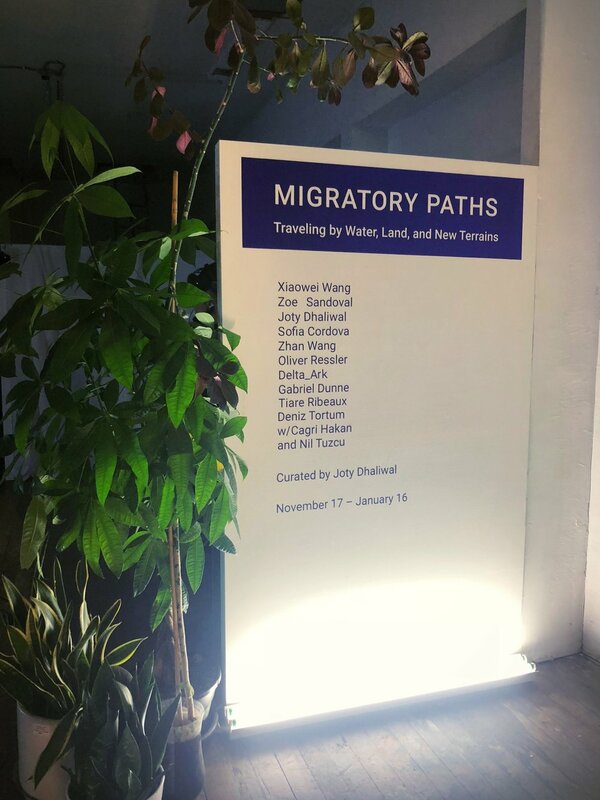 The opening for Migratory Pathways curated by the amazing Joty Dhaliwal! Some photos of the installation and deck design below. 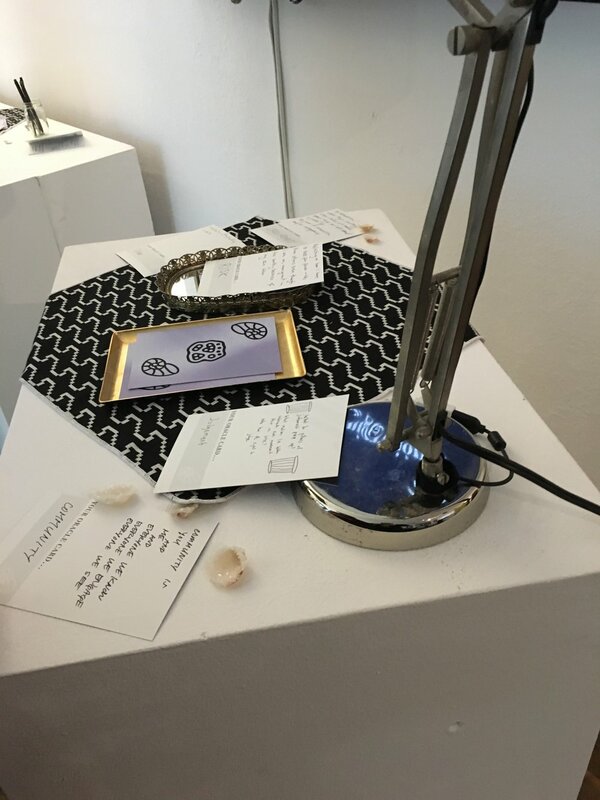 For more on the design & research visit my designing divining post. Despite feeling anxious about how the work was going to be received, everything went smoothly enough and folks seemed really engaged by the piece. My favorite comment: the fiducial markers (the symbol on the purple cards) were embedded so cleverly, that they couldn’t even tell they were markers. It’s always nice when I can hide the technology enough to augment the magical, occult feeling of the piece.